In the north of the modern city of Jakarta lies the area of Kota, literally “city” in Indonesian. Kota is the site of Old Batavia, the original dutch city colony founded in 1620 although the area had been inhabited for many centuries prior to this. Many of the original buildings of Old Batavia still remain and a visit to Fatahillah square should be on any visitors list. 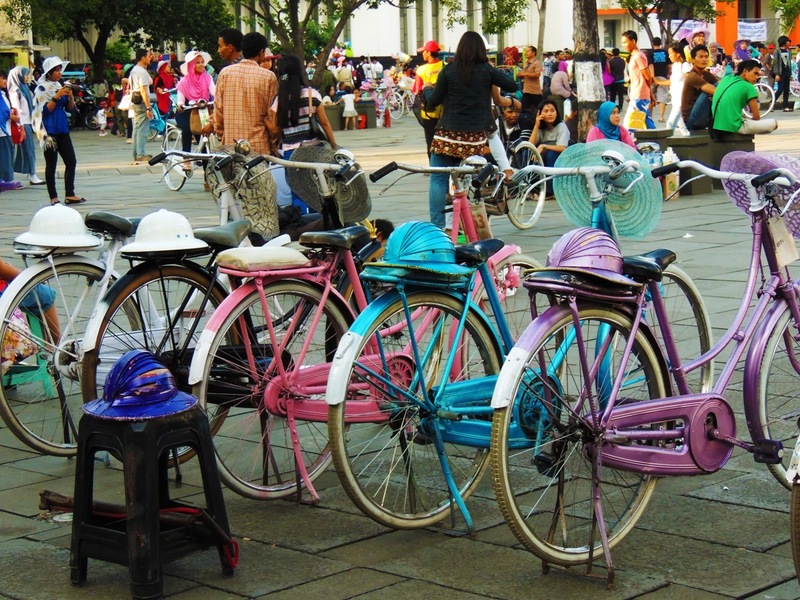 Get there an hour or so before dusk and you will see colorful Jakarta at its finest, brightly painted dutch bicycles, hawkers, performers, snake handlers, classic car enthusiasts and of course, some historic architecture. This entry was posted in Places, Travel and tagged Batavia, Indonesia, Landmarks. I WANT A TURQUOISE SUNHAT HELMET!!! !